STA CRUZ MARINDUQUE | Considered as the heart of the Philippines. 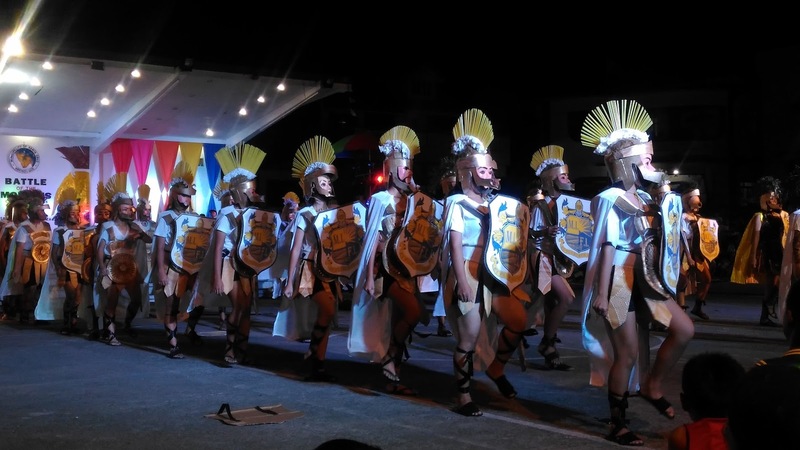 Marinduque has so much to offer it’s tourists such as beautiful beaches, churches, friendly people, rich cultural heritage and of course, one of the most visited attractions on the island is the world renowned MORIONES FESTIVAL. This is a festival I’ve been dying to see and when I finally was invited to witness this event in Sta Cruz Marinduque, I was just bursting with excitement. The Municipality of Sta Cruz is considered the oldest and the biggest municipality on the Island of Marinduque. It is a very quiet and peaceful town. People were very friendly and accommodating and I felt very safe during my stay. And most of all, Sta Cruz, Marinduque is one place people go to if they want to witness the MORIONES FESTIVAL. 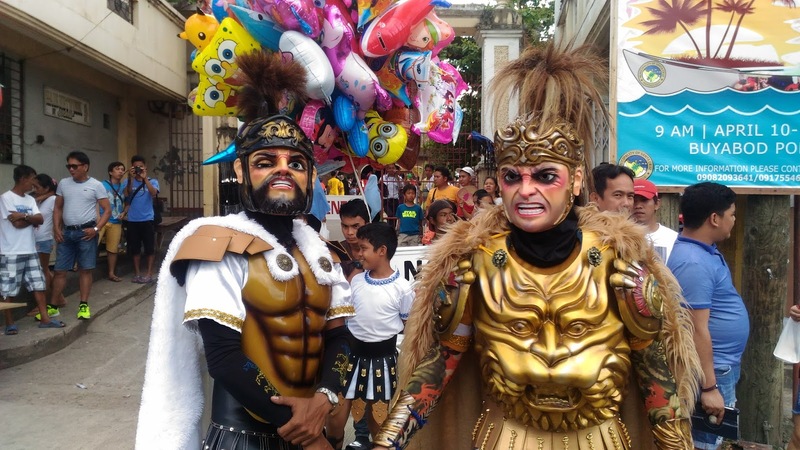 The Moriones Festival is celebrated annually during the Holy Week season where locals dressed like MORIONS who tried to imitate the Roman Soldiers during the era of Jesus Christ. People from all walks of life dress like Morions as part of their penitence. 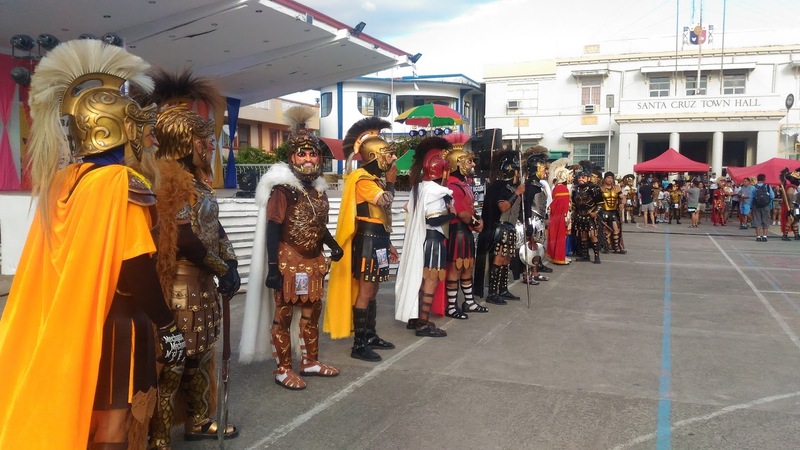 During the celebration of the Moriones Festival, Sta Cruz organized different activities to further strengthen the tradition and give importance to continuing this tradition and attracting more tourists as well to the municipality. The activity started when the Morions paraded around town. I was so lucky that they walked outside my hotel and when I saw them, I was speechless! I was blown away as they walked passed with their elaborate costumes and masks made from the different types of materials ranging from wood, fiber glass and even recycled materials. I Was also privileged to have met Honorable Marisa Martinez, the Mayor of Sta Cruz, Marinduque who also joined the fun of the parade. 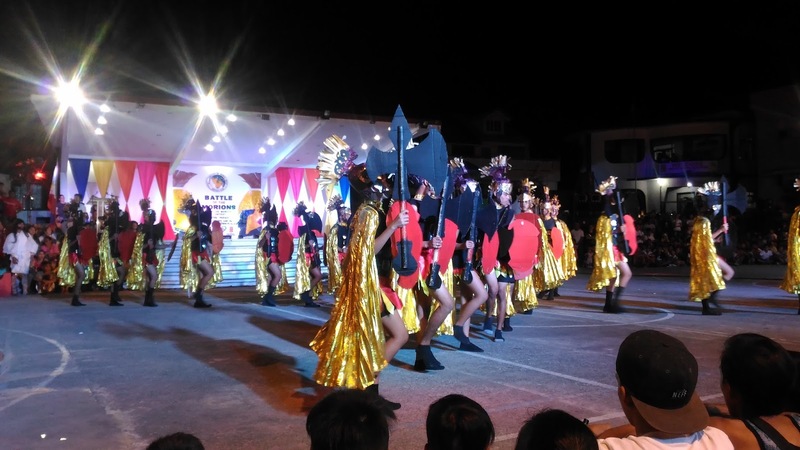 For the first time, Sta Cruz, Marinduque with the cooperation of the Tourism Office organized different sets of activities such as Creative Morions Contest where different Morions showed off their elaborate costumes made from recycled materials. And the main highlight was the Battle of Morions where different groups from different towns competed in a street dance competition. Aside from the adults, the tradition is also being passed on to the young generations. This is such a great way of preserving the rich cultural heritage of the province. How cute is this kid wearing a white Morion costume. He may not understand everything now, but I am sure that this is something he will be proud of soon. Some Morions gathered around the plaza and was able to get up close and personal with their Morion outfits and got to chat to some of them. Participants were also gearing up for the Battle of The Morions happening that evening. Tourists and local residents were so excited and the whole plaza was full. Luckily as part of the media, I got a front seat where I could witness everything up front and take better photos. After the parade, the program started at 4PM. A solemn mass was first conducted and then the show started. People were so excited and tourists flocked around the plaza to witness the most awaited Battle of the Morions. While others were dressed like Morions, others locals were also dressed in what Romans citizens wore during the Roman times. While all the other participants were busy preparing the for Battle of The Morions, I walked around this very festive town and had a selfie opportunity with some of the Morions on the street. What I also observed was none of the masks were the same and you can feel that they really take pride in their wonderful creations. Before the main event, the Creative Morions paraded their elaborate and recyclable costumes for judges to see. The craftsmanship was simply superb! The Battle of the Morions finally started and different towns from Sta Cruz participated in the event. Each group of participants really prepared well for this event and it can be seen from the costumes, props, and even from the choreography. As towns were being called, you could feel the support of the people as they cheered their hearts out for their representatives. In the Battle of Morion, they were also trying to depict the story of Saint Longinus who was a Roman Centurion and half blind and tasked to spear Jesus Christ during the cruci. And when the blood of Jesus touched him, he was able to regain his eyesight which later converted him to Christianity. The Roman Centurions were not pleased and so later he was found and was beheaded. Activities never stop as a Mass was held on an Easter Sunday. Devotees flocked around the church to witness the church parade which was also part of the tradition. While watching the parade, you can just see the smiles, love, and dedication from the people who are part of the celebration. Though there were so many people, it felt very peaceful all throughout the activities. More people flocked onto the streets as Black Nazarene came out from Sta Cruz Cathedral. I am not a Catholic myself so I was just observing from the side and was really overwhelmed with everything that was going on. 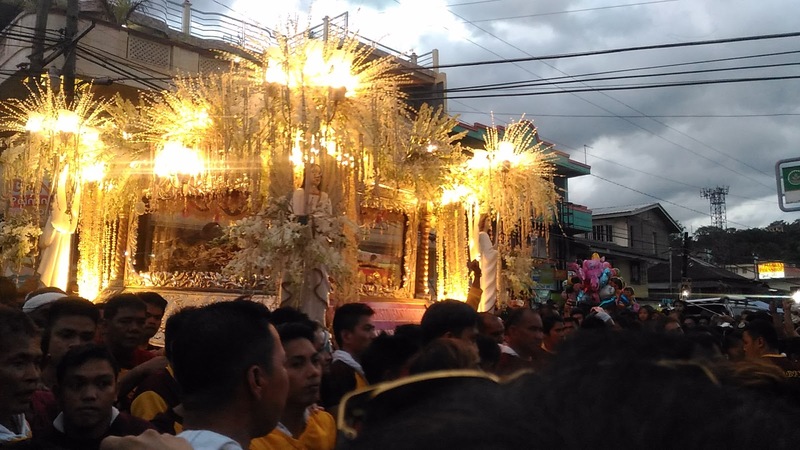 The Black Nazarene was decorated with beautiful flowers and surrounded with hundreds of Rosaries. As it leaves the Cathedral, it was very calm but on it’s way back, that’s when people crammed up to get the Rosaries and cut a piece of the rope that was used to pull the carriage. It is believed that the Black Nazarene can perform miracles and their wishes will be granted. I felt very lucky to have witnessed an event such as the Moriones Festival. 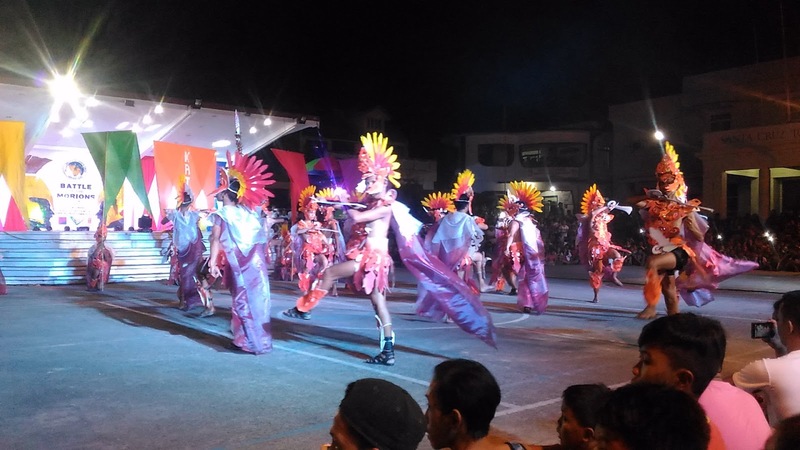 The Municipality of Sta Cruz, Marinduque really made great efforts to relive and strengthen the culture and pride of the Moriones Festival. I can’t wait to come back again next year to witness the festival and I am sure it is going to be bigger and will attract more tourists to the province! Hi Kuya Angelo, when is the best time to come to Sta. Cruz para makita yung best part of the festival? Holy Thursday and Good Friday? or yung Black Saturday and Easter Sunday?